Every offense has its signature play. The Flexbone offense has the Veer. The Wing-T has the Buck Sweep. The Run and Shoot as Go. What’s the Air Raid’s signature play? Y-Cross? Nope. Y-Stick? Nope. The Air Raid’s signature play is the Mesh Concept. Don’t know what the Air Raid Mesh Concept is? Why? Have you been living under a rock for the past 20 years? I’m kidding. I bet you have seen the Air Raid Mesh Concept ran before even if you don’t know what the Air Raid Mesh Concept is. This is standard way teams run the Air Raid Mesh Concept. I’ll walk you through the wide receiver’s routes. R – You are running a 6 step out route. Do not break down and chop your feet on the out route. You will use a speed cut for this route. Y – You are setting the depth of the Mesh. You should run this route no deeper than 6 yards. If you happen to run it under 6 yards then you are okay. Once you pass the center you will look to see whether the defense is in man or in zone. If the defense is in zone then you will settle up in the first open grass area. If the defense is in man then you will turn upfield slightly and keep running. F – You are running a three-yard flat route. If you think you can get 10 yards then you will give a “BALL” call. If you do not get 10 yards when you give the “BALL” call then you will come out of the game. L – You are setting the Mesh with the Y receiver. You will locate him coming out of your route and go UNDER him. You will get so close to the Y receiver that your shoulder pads will rub together. You will never, EVER, go over the top of the Y receiver. Your job is to make the Mesh happen and to make the Y receiver right. After you Mesh with the Y receiver you will look to see whether the defense is in man or in zone. If the defense is in zone then you will settle up in the first open grass area. If the defense is in man then you will turn upfield slightly and keep running. TB – You are running a shoot route. You want to get out to the flats as fast as possible. The quarterback is going R to TB to L to Y to F. So it is Out, Flat, First Mesh, Second Mesh, Backside Flat. Y – You are setting the depth of the Mesh. You should run this route no deeper than 6 yards. If you happen to run it under 6 yards then you are okay. But if you run it deeper than 6 then we will have a problem. Once you pass the center you will look to see whether the defense is in man or in zone. If the defense is in zone then you will settle up in the first open grass area. If the defense is in man then you will turn upfield slightly and keep running. F – You are running a shoot route. You want to get to the sideline as fast as possible. On your third step you will whip your head around and look for the ball. You are the HOT if the defense brings a blitz from the three receiver side. TB – You are running an arrow route. If you think you can get 10 yards then you will give a “BALL” call. If you do not get 10 yards when you give a “BALL” call then you will come out of the game. The quarterback is going R to F to L to Y to TB. So it is Out, Flat, First Mesh, Second Mesh, Backside Flat. Notice How the Air Raid Mesh Concept Reads Are The Same For the Quarterback? That’s what makes this route so freaking dangerous. Once the quarterback gets the progression – Out, Flat, First Mesh, Second Mesh, Back Side Flat – then you can run this concept from any formation with any motion you can think of. The Air Raid Mesh Concept is only limited to your imagination. So go ahead, imagine the record books at your school falling because that’s what will happen once you install this incredible concept. You will need to rep the Air Raid Mesh Concept every day. That’s the golden rule that Hal Mumme gave when he talked about running the Air Raid Mesh Concept. 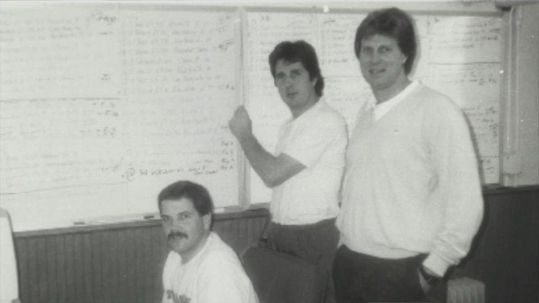 Hal Mumme devotes five minutes a day drilling the play. So if you want to become successful at this play, and light up the scoreboard as well as the record books, then you will have to spend five minutes a day drilling the play. That doesn’t sound that bad, right? Until next time coaches, let’s continue to Master the Spread, Score Points, and Have Fun! I’m going to use this with 11/12 year olds. Can you make a video for RPO for middle school. My goal is to have kids that I coach ready for school ball when they leave me. Thanks for everything Coach. Thanks for taking time out of your day to leave a comment. It means a lot to me. I have a video coming up on the run game I would use if I was installing the Air Raid for the middle school. Thanks Coach, great breakdown of the Mesh! It would be awesome to see a post on how you drill the Mesh. Thank you for the comment. It means a lot to me that you would take time out of your day to read my post. That’s a great idea on writing a post about drilling the mesh drill. I’m going to start working on that now. Thanks coach.